← To Infinity… and beyond! We walk by faith and not by sight. If I’m doing that, then I must believe even when things don’t look believable. If it is sight, then it is not faith. A favorite writer of mine, Phillip Yancey, says that “faith means believing in advance what will only make sense in reverse”. I love his definition because it includes the truth that there is purpose in my story, even though I may only understand it when I reach the last notation of “happily ever after”. 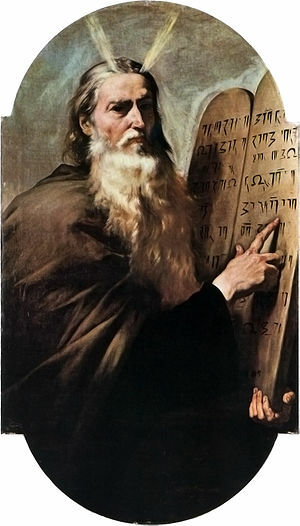 Moses is a prominent member in the Hall of Faith. The writer of Hebrews enumerates many great acts that Moses performed. We read them in awe, assigning to him great attributes of courage, or strength, or wealth, or education…sometimes not noting that the factor that God is emphasizing is great faith. By faith…by faith…by faith…by faith. This is good news for me as I meander after Moses. I am mouse greatly lacking in courage. My strength is only at the eight pound barbell point. My net worth is not worth a net. And my education has been a continual revealing of my ignorance. But faith does what the other qualities can’t…and faith is a gift, given generously by God. Even more exciting, He also gifts us with enabling grace, the power to grab hold of the gift that is needed. (Eph 2:8-10). Woo-Hoo!!! This entry was posted in Meandering with Moses and tagged Christianity, Epistle to the Hebrews, faith, great faith of Moses, heroes of the faith, Moses, not by sight, Religion and Spirituality, walking by faith. Bookmark the permalink. I enjoyed your sections that I’ve read about on Meandering with Moses now I’m waiting for meandering with Jesus. Or would it be following Jesus, we wouldn’t want to be meandering with Jesus we would want to be following Jesus.